BRegs Blog | A blog to debate the Building Control (Amendment) Regulations (BCAR): The BRegs Blog presents an opportunity for free expression of opinion on BCAR and their implementation. The blog is not representative of any professional body or organisation. Each post represents the personal opinion of that contributor and does not purport to represent the views of all contributors. 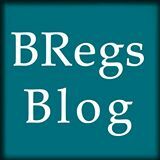 The BRegs Blog was launched on 21 November 2013 to debate and share information on the Building Control (Amendment) Regulations (BCAR) that were subsequently introduced on 1st March 2014 and that now affect all buildings. The official title for this piece of secondary legislation is Statutory Instrument No. 9: 2014. We tend to refer throughout the blog to this as S.I. 9 for short. In the absence of any official public information campaign by the Government, the BRegs Blog has become a ‘must-go-to’ open source for advice and opinion in relation to BCAR / S.I. 9 for anyone involved with the construction industry. In the first six months since implementation of the new regulations in March 2014 we received over 124,000 views. Not bad for a blog that’s about (let’s face it) Building Control. Contributions come from a unique collaboration of economists, politicians, solicitors, journalists, civil servants, building control officers, builders, building owners, surveyors, engineers, architectural technologists and architects. New to SI.9- Confused? Just click on the following title: SI9- where do I start? Contributors include: Padraig Murray, Michael Collins, Peter Hanna, Joan O’Connor, Eoin O’Cofaigh, Arthur Hickey, Sean Carew, Orla Hegarty, Maoilíosa Mel Reynolds, Mark Stephens, Vivian Cummins, Caomhan Murphy, John O’Keeffe, Colin Jennings, Paddy O’Toole, Eoin O’Morain, Martin Murray, Deirdre Lennon, Gerry Egan, Jimmy Delahunty, Malcolm McDonnell, Jan van Dyjk, Brian O’Donnell, Sarah I. Kelly, Joseph Little, Stephen Collins, Joe O’Brien, Dervla Cotter, Patrick Weafer, Peter Cassidy, Peter Roberts, Peter O’Shaughnessy, Barry Kelly, Paul Conway, Mark Turpin, Jean Early, Eileen Fitzpatrick, Maurice Fitzgerald, Des McMahon, David McHugh, Gerry Murphy, Eamon Hedderman, John Feely, Paul C. Mealy, Mary Laheen, Paul O’Toole, Shane McCloud, Malachy Mathews, Joe Byrne, Nigel Redmond, Amanda Gallagher, Barry Lyons, Zeno Winkens, Jerry O’Connor, Keith Graham, James Cash, Deirdre Ni Fhloinn, Jan McIntyre, Raymond McGinley, Eóin Leonard, Mícheál de Siún, Ciarán Ferrie, Brian Rochford, Lester Naughton, Mairéad Phelan Seán Breen, Michael O’Neill, Kevin Tyrrell and Isabel Barros. Contributors list last updated September 2014.